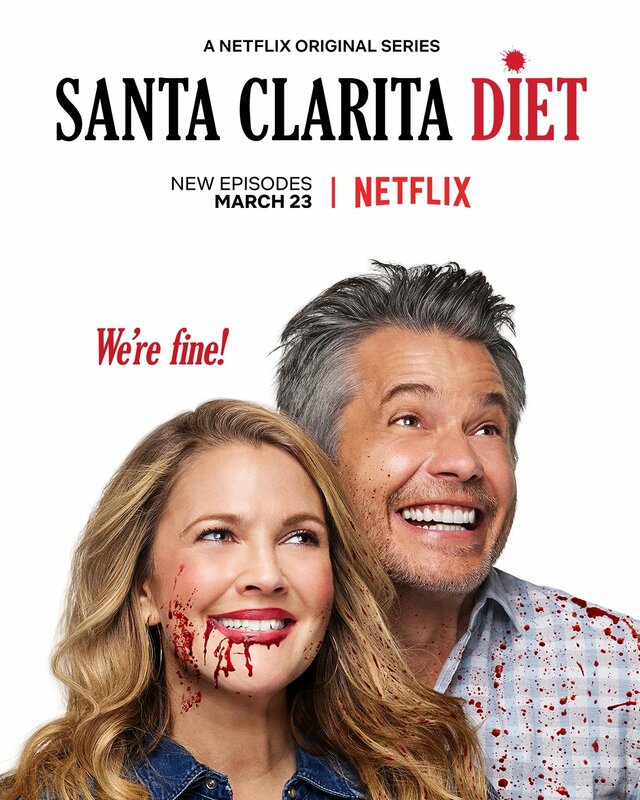 Santa Clarita Diet season two is now streaming on Netflix! So incredibly proud to have worked on this. It’s funnier than the first season and delightfully weird. 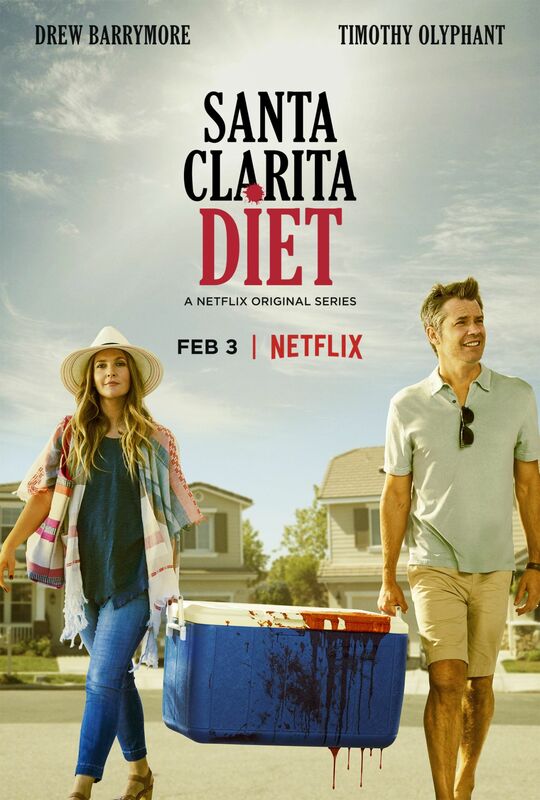 Santa Clarita Diet season one is now streaming on Netflix! Aaron and I worked on this series and had a blast helping mad genius Victor Fresco craft a darkly hilarious murder sitcom. 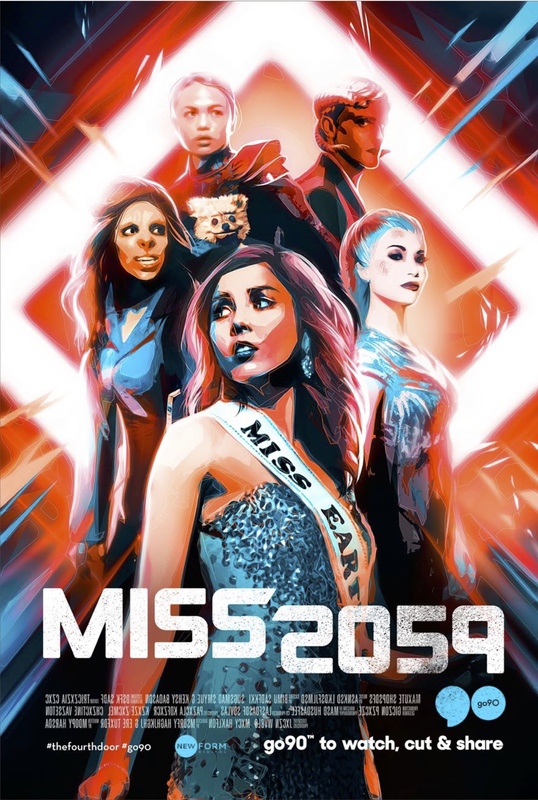 Last year, Aaron and I developed and produced Miss 2059, an awesome sci-fi comedy/drama with YouTube star Anna Akana. You can stream all 12 episodes on Verizon’s Go90 platform. This was an amazing project that required the hard work of like a billion different awesome people and we’re so proud to have gotten the chance to produce it with Anna and the fine folks at New Form Digital. Hunt the Truth season two is out and I wrote several episodes. 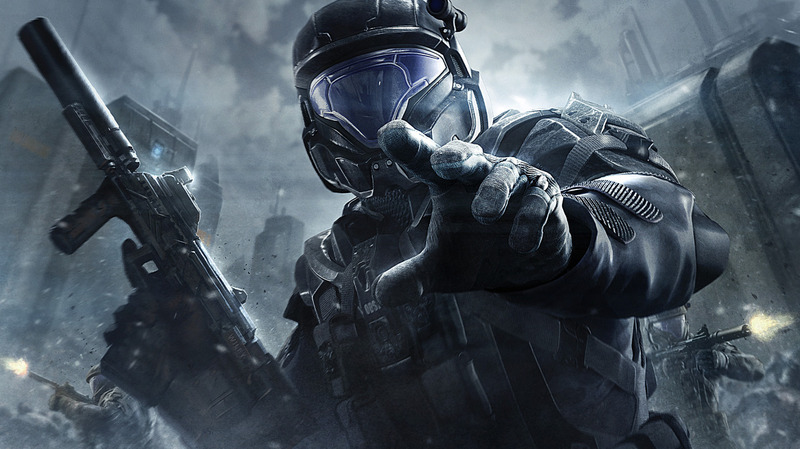 Hunt the Truth is an award winning radio drama/podcast set in the Halo universe. Season one was structured like Serial, the This American Life spinoff podcast that investigated a single murder over a season of podcast episodes. Season two is structured like an old fashioned radio drama. So it’s a format invented in the early 1900s telling stories in a videogame universe set in the 26th century. Which is pretty awesome if you think about it. If you want to listen, Aaron and I wrote episodes three through six for season two. They’re available on the Hunt The Truth tumblr and SoundCloud pages. Amazing freedom. In television and web video, Aaron and I are always limited by budget. No one’s going to give us a hundred million dollars to film a spaceship battle no matter how awesome and funny we promise it’s going to be. But in radio, there is no budget! The only limits are the sound design and the audience’s patience. It’s friggin Halo. I still remember rushing home from high school and tearing open my brand new Xbox. I’d been waiting for months for the console and years for Halo, so when the awesomely over the top Halo menu music started (monks chanting and harmonizing, 480p graphics sizzling my eyeballs), it felt like a borderline spiritual moment. Now, all these years later, it’s just so exciting to know that I got to write in a little corner of that universe. Infinite thanks to the Ayzenberg creative agency for inviting us to work on this with them and their awesome in-house writers. 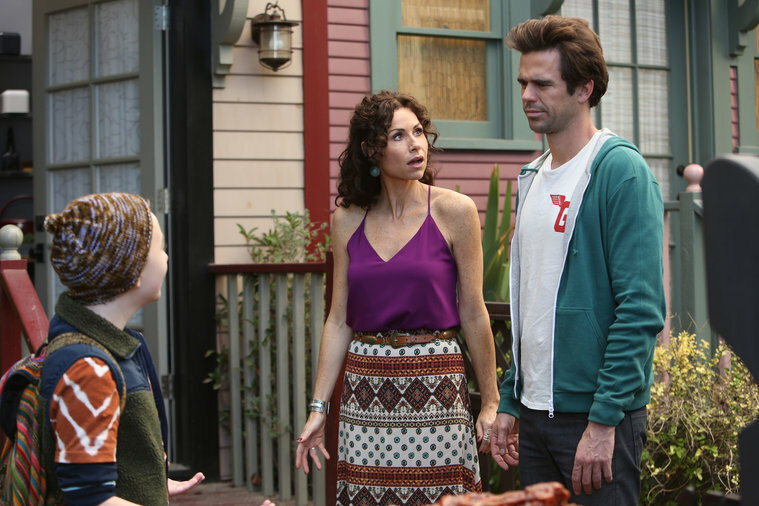 Though NBC cancelled About a Boy earlier this year, thankfully the episode my partner and I wrote was still made and produced. Episode 217, About a Babymoon, is now available online at Amazon and iTunes. I’m releasing a major new update to my screenwriting app, Fountain Loader. To quickly recap, Fountain Loader is a web app that makes it easy to write screenplays in Google Docs. It builds off the brilliant work of John August, Nima Yousefi, and Stu Maschwitz who created the fountain screenwriting format. What the hell is a screenwriting format? Well fountain is really just a basic set of formatting rules. If you write text that follows those rules, then that text can be easily converted into a finished screenplay using great programs like Highland, Slugline, and now Fountain Loader. Here’s a BEFORE and AFTER example to help you get the idea. The new Fountain Loader can now not only preview screenplays but also convert fountain files into Final Draft FDX files, complete with title pages. What’s more, it has some features that even Highland and Slugline lack. If you’re writing a television script rather than a feature film script, Fountain Loader has built-in tools to make that easier. By labeling the top of your script with the “Format: Multicam” tag, Fountain Loader will automatically produce a Final Draft file with classic sitcom formatting. It will also convert Act Breaks into their proper Final Draft elements rather than just converting them into centered action text. I made this update because my writing partner and I were writing a multicam script, and everytime I wanted to check the page count, I had to copy and paste the script into Highland, output a Final Draft file, then open up Final Draft, import a multicam template, and then fix all the act breaks. Now that’s a one-click process. It’s been a huge improvement for us. Writing a screenplay collaboratively in Google Docs is now much, much easier. When we were staff writers on NBC’s About a Boy, we wrote our episode in Google Docs using fountain and Fountain Loader. Everything we write from now on will live in Google Docs and then end up in Final Draft only when we’re ready to distribute our scripts. For more information about how Fountain Loader works, check out my original post announcing the project. If you want to learn how to write in fountain, check out the fountain syntax page. I’ve released a small update to my DeHulkifier bookmarklet. Film Crit Hulk moved to a new website, so the bookmarklet needed to be tweaked to keep working. 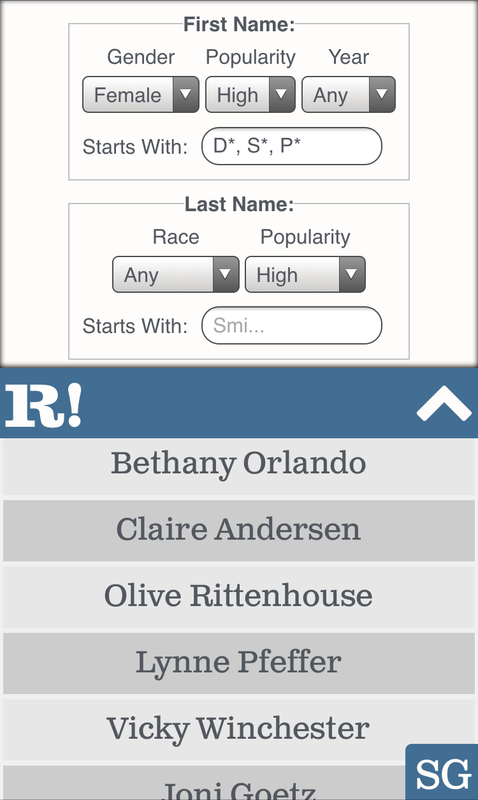 I’ve released a small update to Ranndy.com, my random name generator site. Now every first and last name generated by the site contains a link to a Google search about that name. Sometimes when creating characters, I like to find last names that have hidden meanings and reflect the character’s personality. I’ve released a new version of Ranndy.com, my random name generator for use in fiction writing and baby naming. Ranndy can now show you names that start with certain letters. If you enter “Jo” in the Starts With field, Ranndy will only show you names that start with “Jo” like John, Jordan, Jose, etc. Ranndy can also do the opposite of Starts With, showing you names that DON’T start with certain letters. Just use the * character in the Starts With field. If you enter “D*, S*, P*” in the Starts With field, Ranndy won’t show you any names that start with D, S, or P. This is useful when you’re writing a screenplay and don’t want too many characters whose names sound or look similar on the page. 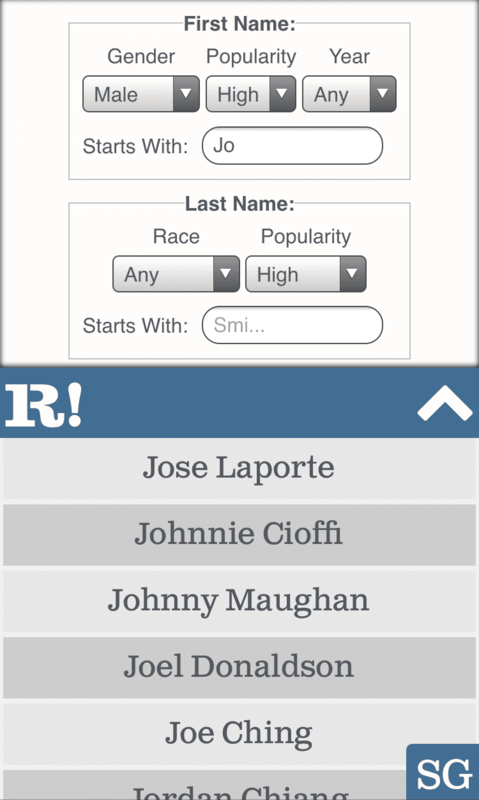 Ranndy now lets you force a first or last name. If you already know a first or last name that you love, you can force that name with the ^ character in the Starts With field. 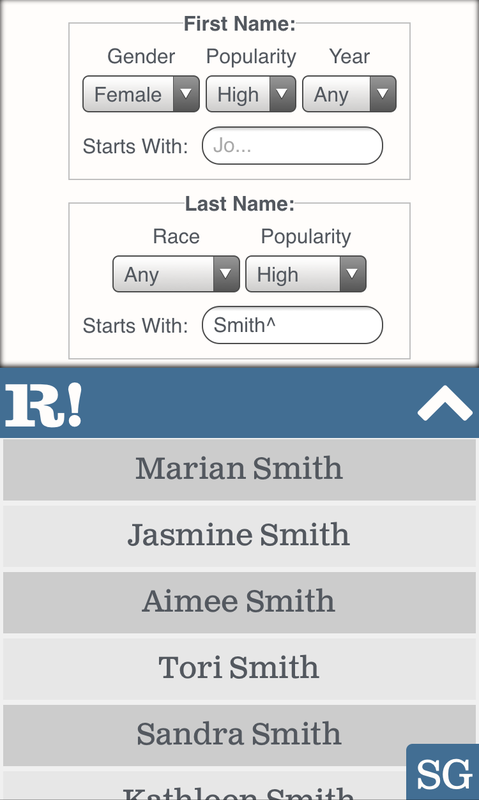 If you enter “Smith^” in the Last Name Starts With field, then Ranndy will show you random first names but every last name will be “Smith”. This is useful for baby naming and also creating family members for characters. I’ve also made some tweaks to how Ranndy ranks first names by popularity. The default setting of “High” popularity is now much broader, which should give a better variety of names without including too many weird names. To learn more about Ranndy, you can visit my first blog post about it.